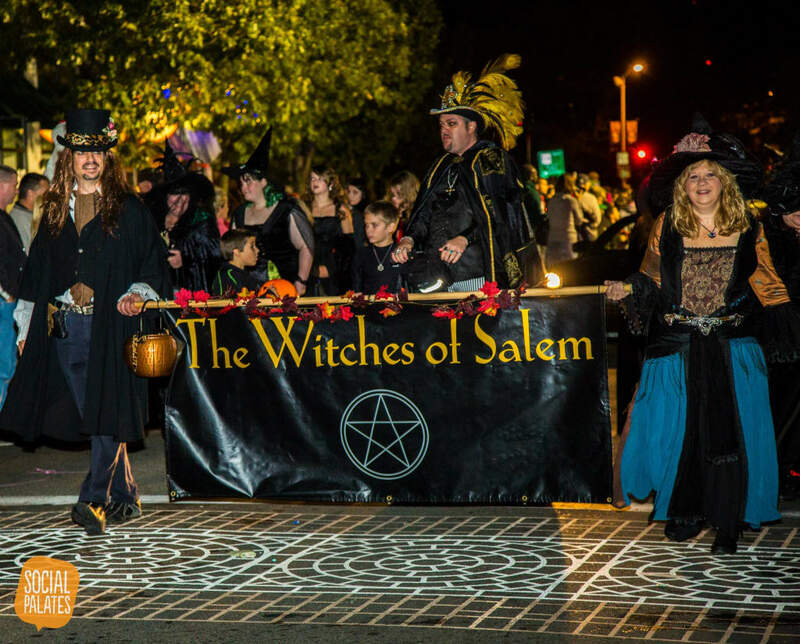 The Salem Chamber of Commerce cordially invites you to participate in the 23rd Annual Salem Chamber of Commerce Haunted Happenings Grand Parade on Thursday, October 4, 2018. 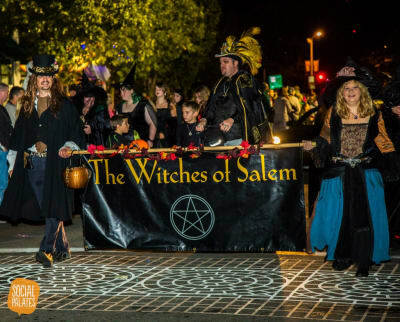 This year’s event will feature the theme “The Magic of Hocus Pocus”. 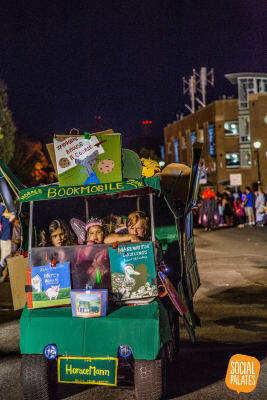 This time honored kick off of the Halloween season is full of color, pageantry, music and the enthusiasm of thousands of Salem’s students from kindergarten to college and our local business owners. Their participation is what makes this a highly successful, cherished event for our community. 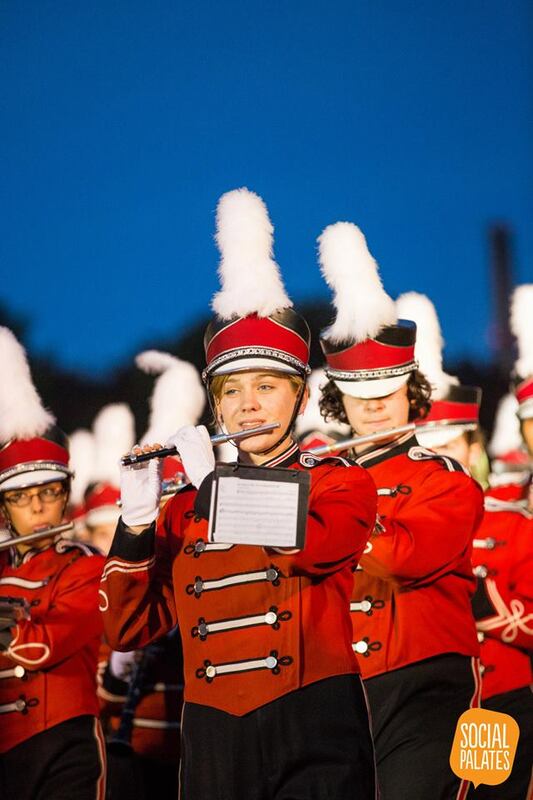 To help ensure the success of this event, we are asking for businesses financial support to defray the expenses of police, marching bands, security, advertising, postage, and staging. 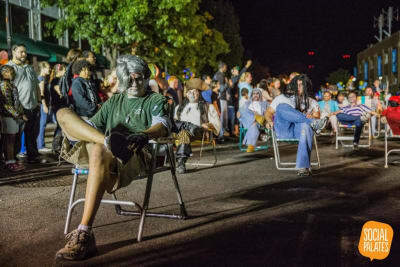 When: The parade will be on Thursday evening, October 4, 2018 and will start promptly at 6:30 pm. 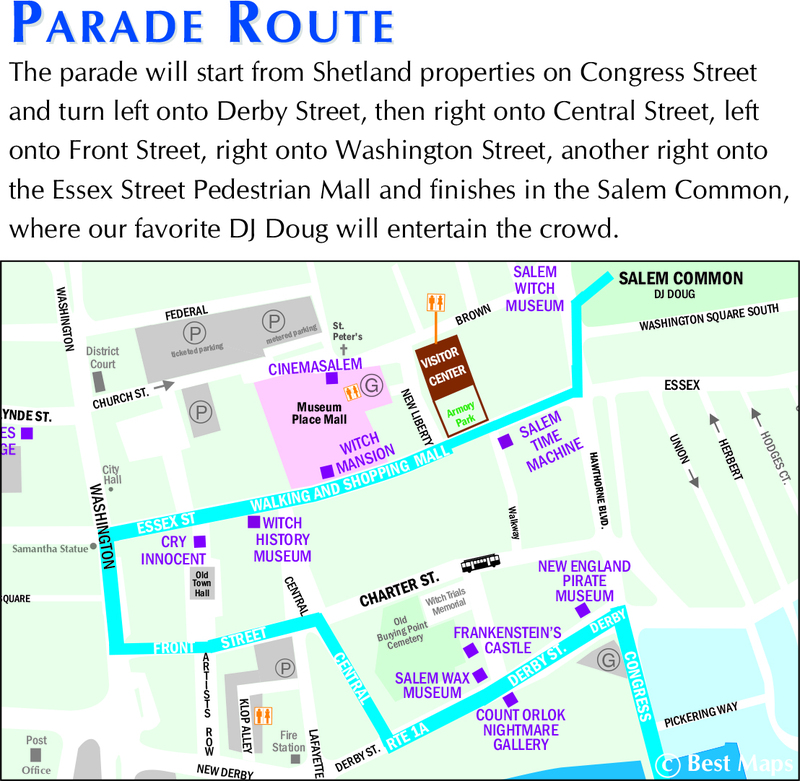 Where: The parade will be starting from Shetland properties on congress street turning left onto Derby Street, right onto Central Street, left onto Front Street, right onto Washington Street, right onto the Essex Street Pedestrian Mall and finishing in the Salem common, where our favorite DJ Doug will entertain the crowd. Line up time: All marchers and floats should arrive no later than 5:30 pm. 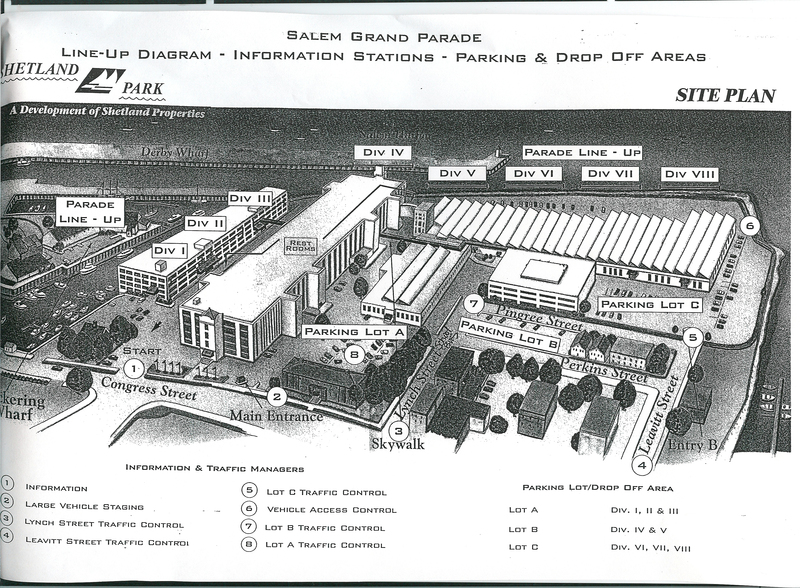 Line-up diagrams and assigned parking areas will be sent to you around September 28, designating your division number, position in the line-up and designated parking. Please complete and return no later than September 19, 2018 to our office. 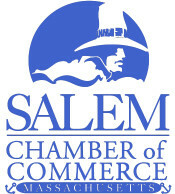 If you have any questions, please call the Chamber of Commerce at 978-744-0004. Click here to view the 2018 Parade Line-up (alphabetical) and find where your group is located in the parade. Map of Shetland Park here. 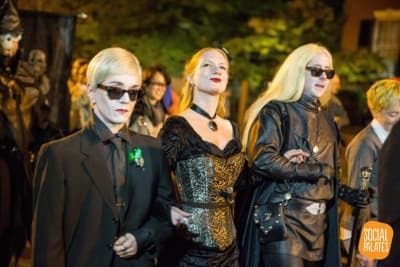 Whether you dress up as a magician, prefer to celebrate the 25th anniversary of the classic, beloved film and 2018 release of the sequel, or chose something else altogether that you enjoy, we can't wait to see your costume! 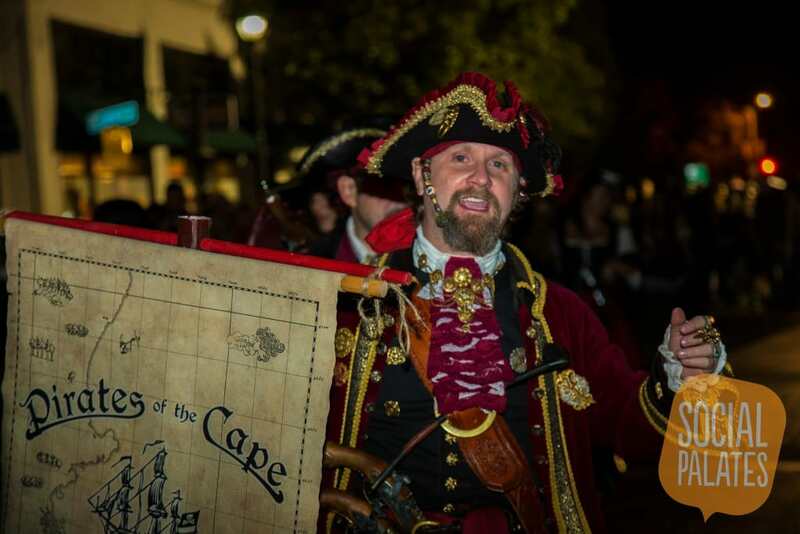 As in past years, we expect to have a wide array of characters that everyone knows and loves (and maybe some you don't know yet) that join in the Salem Chamber Haunted Happenings Parade! Special Thanks to John Andrews Photography / Creative Salem for the images above.